Lucky for you, Virginia is a relatively free state when it comes to guns, and there are only a few laws that you’ll need to worry about to make sure you stay on the right side of the law. We’ve got everything you need to know about how to buy a gun and be a responsible gun owner in the Old Dominion! Like most gun-friendly states, Virginia mostly follows federal firearms laws when it comes to purchasing and owning firearms. No permit is required to purchase firearms in Virginia, though there are still some basic requirements that have to be met. If the idea of a background check sounds like a hassle, there are a few situations where you can avoid it completely. The first way to avoid a background check when buying a gun, even if it is from a gun store, is if you are buying an antique firearm. You’ll need to be sure the firearm qualifies as an antique, however, or you’ll be in for a load of trouble. A replica of a firearm manufactured before 1899, that is not designed or redesigned to use rimfire or centerfire ammo that is no longer commercially available in the US. The second way to avoid a background check is if you purchase a handgun from a private seller. What is required, however, is that both you and the seller have to be residents of the state. This means no selling your handgun to your cousin from California who’s in town for a visit. 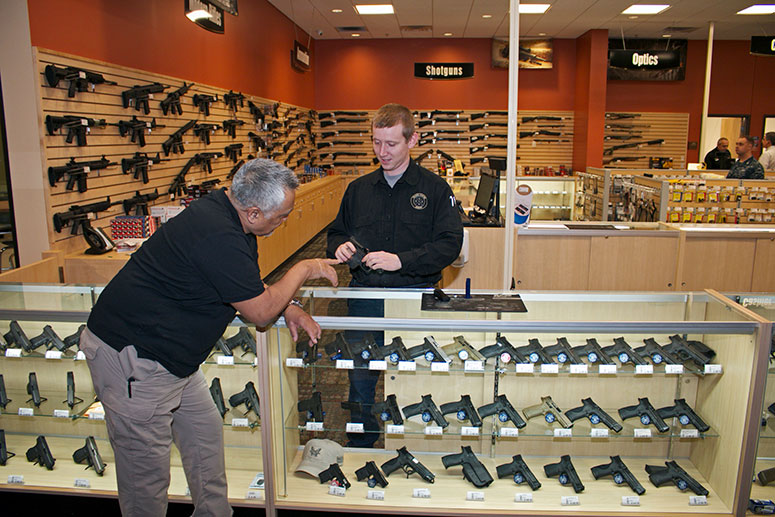 Even if you meet all those requirements, however, there are still some situations where you would be prohibited from buying firearms. You are a person who, within a 36 month period, within the last 5 years, has been convicted under Virginia law of 2 misdemeanor offenses for Possession of Controlled Substance or Possession of Marijuana. It’s a big list, so make sure you read through everything to make sure you don’t fall into any of those categories! Once you’ve checked (and rechecked!) and are sure none of those situations apply to you, you’re good to go! As exciting as a handgun purchase is, adding a couple of long guns to your collection should be right up there at the top of the list too! Fortunately, the requirements for buying a long gun are not as strict as those for buying handguns. No permit is required to buy a long gun. Avoiding background checks for long guns is slightly easier than with handguns since there is no requirement that the buyer and seller both have to be residents of Virginia. You’ll still want to make sure you’re selling to someone who’s actually allowed to own a firearm though, just to be safe. 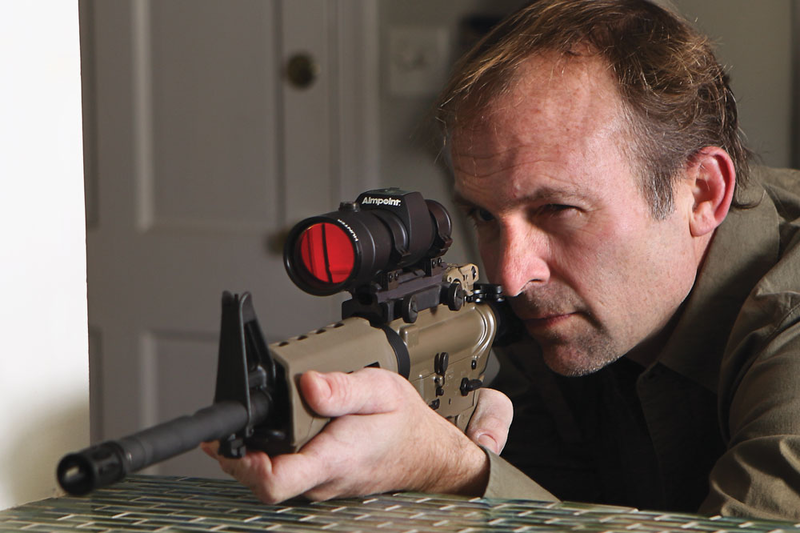 Once you’ve got your long guns, whether a rifle or shotgun, you’ll want to be careful about how you modify them. Sawed-off shotguns and sawed-off rifles are illegal in the state! While the names imply sawing off portions of the barrels, as long as the firearms meet the definitions of a sawed-off shotgun and sawed-off rifle, they are illegal, whether you actually saw them or not. A “sawed-off” shotgun is any weapon that is originally designed as a shoulder weapon, using cartridges that shoot ball shot pellets or projectiles fired from a smooth or rifled bore by a single action, that has a barrel length of less than 18 inches (for smooth bore) or 16 inches (for rifled bore). Basically, any shotgun you have, depending on the type of bore, will need to meet the length requirements to not be considered a “sawed-off” shotgun. 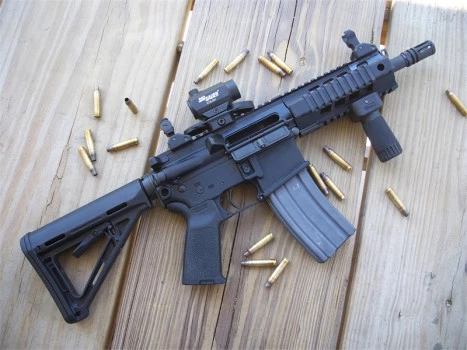 A “sawed-off” rifle, on the other hand, is a rifle that is designed as a shoulder weapon with a barrel length or less than 16 inches or an overall length of less than 26 inches. Are carrying out your duties in the Armed Forces or National Guard. Another thing to keep in mind is that if you are 18 or older but still under 21, you can still own a handgun, but it will have to be through a private transfer, rather than buying one from a licensed firearms dealer. Be nice to your parents and maybe they’ll give you one for Christmas! As a gun-friendly state, Virginia does not require firearms registration, and you don’t need to obtain a permit to open carry your firearms. Even in declared states of emergency, the carrying and transporting firearms cannot be limited or suspended! America! There are some places that prohibit firearms in general, however, regardless of whether you are carrying openly or concealed. School buses owned or operated by the school. It’s also just a good idea to keep your firearms in the car if you are stopping off somewhere with metal detectors. Those are usually pretty good indicator firearms aren’t allowed. In addition to those statewide restrictions, some cities and counties in the state that are significantly less gun-friendly than the rest, have prohibited the carry of loaded firearms as well. Shotguns with magazines capable of carrying more than 7 cartridges. If you live in any of these areas, you will, unfortunately, have to follow these set of rules different from the rest of the state. It wouldn’t hurt to consider moving somewhere outside of these counties either, though! For those of you who want to carry concealed, you will generally need to apply for a CCW permit in order to do so. 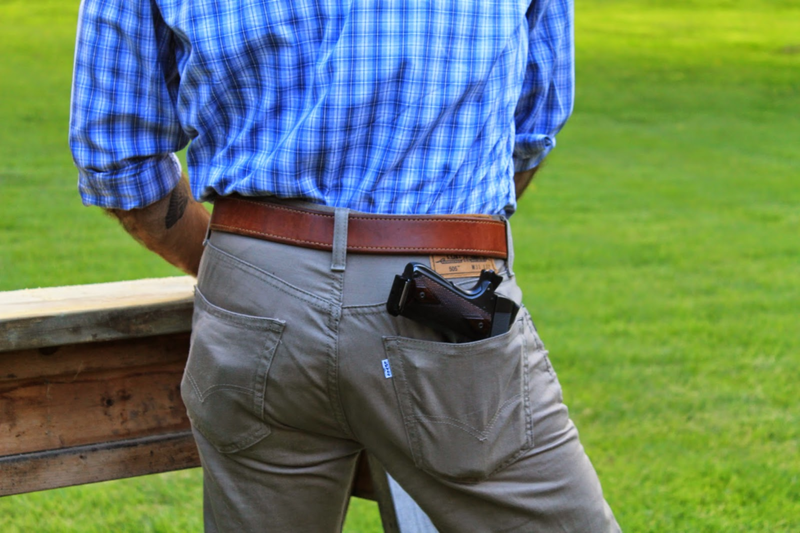 If you are interested in the process, hop on over to our Virginia CCW Laws section to check out what’s required to get your permit, and the additional laws you’ll need to be aware of when carrying concealed. If you aren’t interested in concealed carry or want to hold off for now, there are still situations where you can carry concealed without a permit. Are hunting (with a permit!). If you are not carrying concealed, you’ll need to be careful to follow the rules on transporting your firearms. 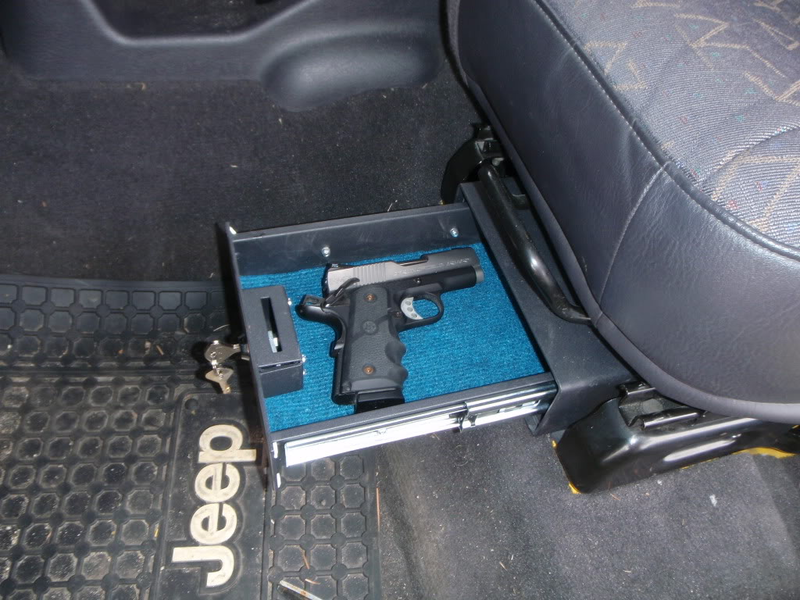 Generally, you will need to keep your handgun secured in a container or compartment if you are traveling. This compartment or container does not need to be locked but just has to be secured. When transporting long guns, it is illegal to carry a loaded rifle or shotgun on any public street, road, or highway. Basically, the moment you pull out of your driveway, you’ll need to have the long guns unloaded, and stowed away in a secured container. On the bright side, you can have your trusty sidearm ready to go and fight your way to your long guns if necessary. When it comes to self-defense of the shooty kind, Virginia, unfortunately, has nothing specific on the books regarding the use of deadly force. However, there are court cases that can provide some guidance for you and the jury you may have to face if you are ever in a self-defense shooting situation. The commonly known “Castle Doctrine” refers to using deadly force to defend yourself or your loved ones while in your home. Cases in the state have generally agreed that, as long as you have not done anything illegal yourself, and did not provoke the other person, you are justified in using deadly force to defend yourself. Just like with the Castle Doctrine, the state legislature has not passed any specific laws regarding self-defense using deadly force while outside the home, let alone addressing whether or not you are required to retreat when faced with a deadly threat. Based on court cases in the state, however, just like with defending your home, as long as you are not the initial aggressor in a confrontation, you are not required to retreat and can use deadly force to defend yourself, if necessary. Of course, since none of this is written in the law, if you are ever in court defending your decision to use deadly force against someone, you would have to rely on the precedent set by the courts, which is not ideal. If given the option to safely retreat or engage the threat, your best bet would be to escape to safety, rather than face the threat, and then later, the jury. More than that, taking a life is a serious decision, and you should always use your best judgment to decide what type of force is appropriate, or if it is necessary to stand your ground when retreating may be the safer option for you and others around you. And with that, we’re done! 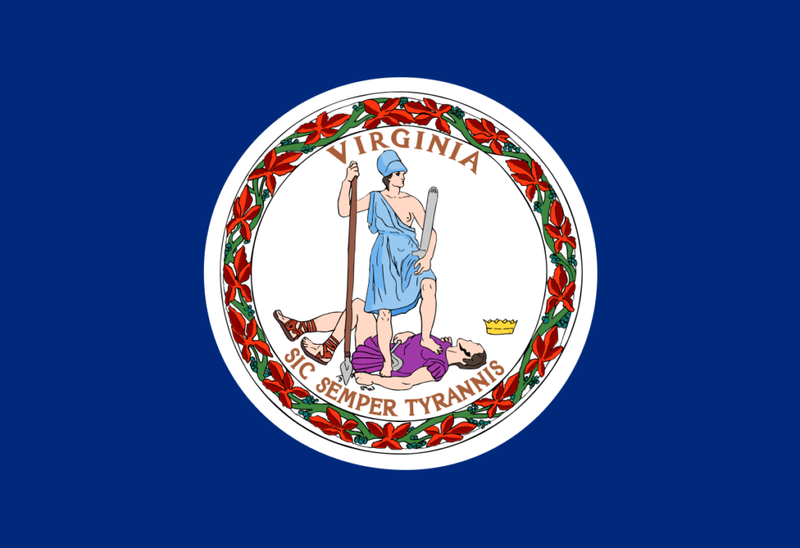 You now know everything there is to know about gun laws in the great state of Virginia! If you are interested in getting that CCW permit so you can carry while running errands around town without broadcasting it to the world, be sure to check out our Virginia CCW section for all the info. If you want to start smaller, a gun cabinet or even just a decent handgun safe may be a good investment, so all those rifles can have a quiet place to rest after a busy day at the range. Now get out there and pew pew!